Enjoying life’s simplest pleasures can sometimes feel like a mundane task. We get so caught up in our day-to-day activities that we begin neglecting those simple things: quiet coffee in the morning, reading an article on the train, a five minute meditation. Allowing ourselves the time to slow down is OK, and more often than not, long overdue. Like anything else, getting in this mindset takes practice and patience. This Summer, I’ve enjoyed the longer days and allowed myself time off work (something that’s extremely difficult for me!) to spend with those closest to me. My wife and I have enjoyed cooking at home with an ice cold Stella Artois Cidre (her fave) and our favorite tunes over the speakers. On no fuss days, we order our favorite take-out, grab some blankets and cushions, a Stella Artois six-pack, and jump onto the fire escape for a romantic dinner date. On the menu is either Chinese or pizza – this time, we chose the latter. The crisp hop bitterness and soft dry finish of Stella is perfectly balanced with my cheese slice. 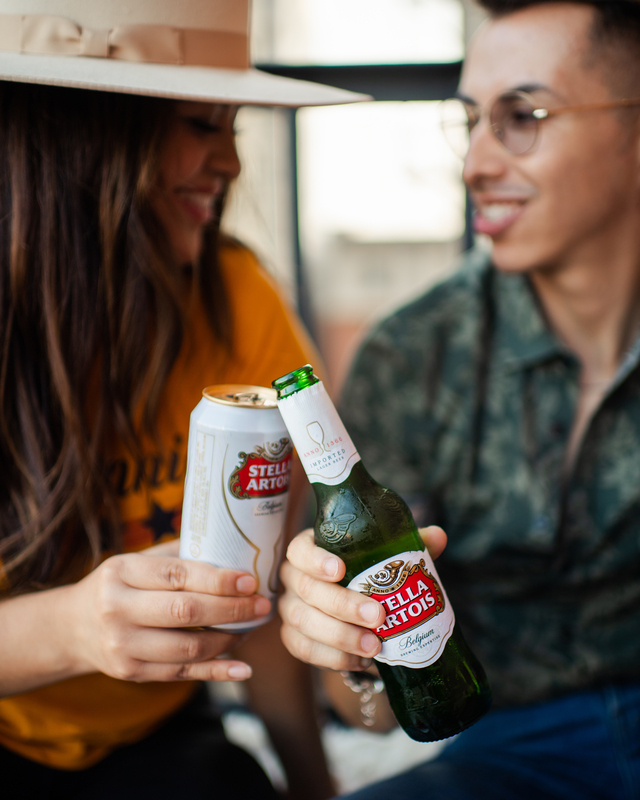 There are so many moments worth savoring with Stella Artois, but my favorite is at home with my closest friends and family. Whichever you choose, remain present, unplug, and enjoy that soft breeze for as long as it lasts.